Endurance sport is characterised by lactate threshold, VO2 Max and economy1. As an endurance athlete you are predominantly required to produce power over extended periods of time or distances usually with a high reliance on aerobic (with oxygen) metabolism. So, what are some of the common adaptations to endurance training if the athlete is producing power over extended time periods? Here we’re talking about cardiovascular (your heart and veins), respiratory (lungs) and metabolic (fuel usage) gains. Increase in heart size – this is due to the left ventricle (a chamber in the heart muscle) wall undergoing hypertrophy like any other muscle in the body and becoming thicker. Through this the filling capacity of the left ventricle is increased meaning more blood can get in! Stroke volume increases – stroke volume, put basically, is the volume of blood your heart pumps with each beat, obviously the higher this is the more oxygen rich blood being delivered! Trained individuals can have stroke volumes in excess of 180ml/min during exercise. This is in part due again to that left ventricle mass and its increased ability to contract. Thus, cardiac output is also increased i.e. The amount of blood pumped by the heart in litres per minute. Resting heart rate is decreased perhaps due to increased parasympathetic activation2. This is the branch of the nervous system responsible for our “rest and digest” functions meaning it should be properly functioning while resting, in times of over-reaching you’ll notice your resting heart rate higher, this is due to a decrease in parasympathetic activity and increase in sympathetic activity or your “fight or flight” response. With consistent or chronic endurance training heart rate at sub maximal levels is also decreased, you may see this over a base period. When starting off your heart rate seems high for a given power/ pace but over months you notice the power/ pace remaining the same but heart rate decreasing. This is again due in part to increased parasympathetic activity along with the adaptations mentioned above in relation to stroke volume. Regarding adaptations to the blood and blood vessels, overall blood volume increases by up to 20-25% in trained individuals3. Blood plasma (liquid that holds blood cells) increases as do red blood cells. Through this, changes in haematocrit are observed or the ratio of red blood cells to total blood volume. 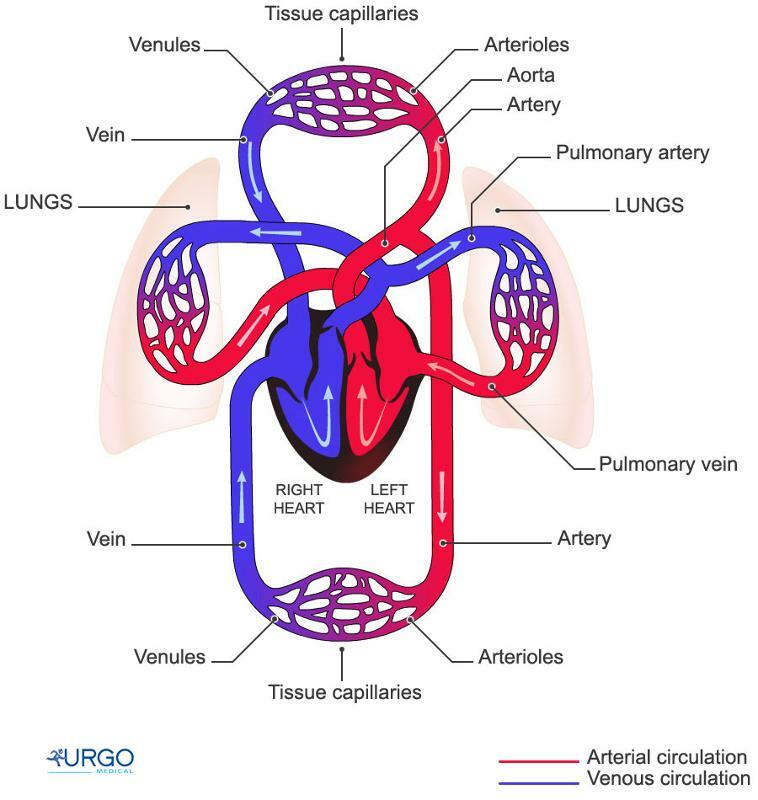 Arteries, arterioles, and capillaries adapt in structure and number inducing an improvement in oxygen delivery to the working muscle among a host of other benefits. Overall ventilation (moving air in and out of lungs) is decreased at submaximal exercise intensity, so you’re not breathing as hard as you did before! But at maximal intensities ventilation goes up, sometimes greater than 180L/min, at maximal intensity for elite athletes. The ventilatory threshold (commonly exchanged with lactate threshold) or the point at which ventilation starts to shift upwards is also extended. There is two ventilatory thresholds (VT1 and VT2) – these can be referred to as the aerobic and anaerobic thresholds. The anaerobic threshold is the most commonly referred to metric in endurance sport e.g. FTP in cycling. Simply put this occurs due to a greater effectiveness of blood flow to the muscle increasing the ability to extract oxygen. Adaptations to VO2 Max occur as a combination of cardio and respiratory adaptations. Essentially increasing stroke volume and cardiac output coupled with increased ventilatory ability and efficiency has an upward trend on VO2 Max! See the figure below for a more detailed look at this. Carbohydrate is affected through an increased storage capacity of glycogen in the liver and muscle. There is also a decreased rate of depletion of this stored carbohydrate at sub maximal intensities along with increased speed of glycogenolysis (breakdown of glycogen into glucose, the preferred fuel) … we won’t get into the Krebs Cycle here but all you have to know is that you become better at burning carbohydrate at higher intensities. Fat usage is increased at submaximal intensities, sparing glycogen. This is due in part to an increased mobilisation / transport capacity and thus increased beta-oxidation (fatty acid molecules are broken down) of free fatty acids. Really this means we become more efficient at burning fat up to select intensities which will be higher than when we started our endurance programme. While we have gone a ways into discussing the common adaptations to endurance training here it is important to note that there are host of other intricate benefits that are crucial to the process. This is along with the apparent health benefits of increased endurance fitness on simply someone’s lifespan! This is simply a basic introduction for those of you more curious as to what’s actually going on when you’re turning the pedals or pounding the pavement. Thanks for reading, I hope I didn’t bore you with the physiology lesson!! Carter, J. B., Banister, E. W., & Blaber, A. P. (2003). Effect of endurance exercise on autonomic control of heart rate. Sports medicine, 33(1), 33-46. Hellsten, Y., & Nyberg, M. (2011). 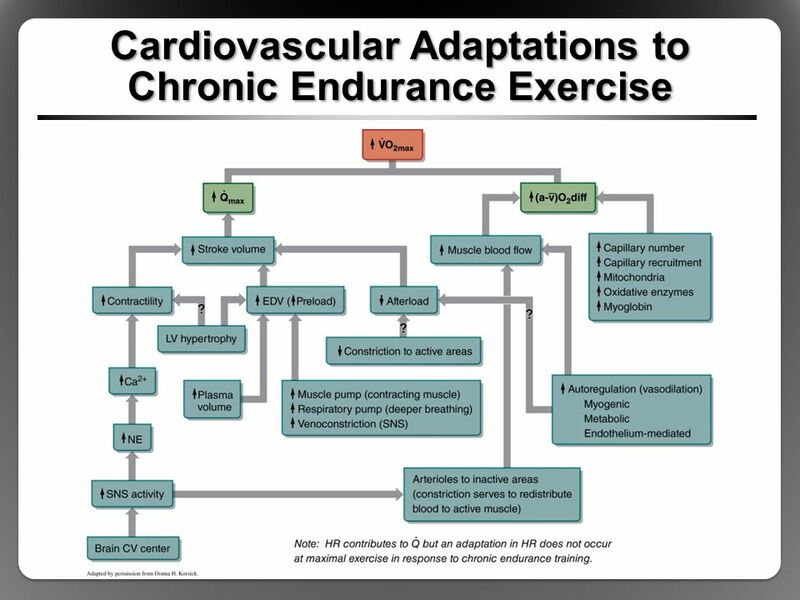 Cardiovascular adaptations to exercise training. Comprehensive Physiology, 6(1), 1-32.